All THOROUGHBRED LAKE ESTATES homes currently listed for sale in Wellington as of 04/26/2019 are shown below. You can change the search criteria at any time by pressing the 'Change Search' button below. "5 bedroom 3 bath home on a picturesque lot setting of mature trees and yard. 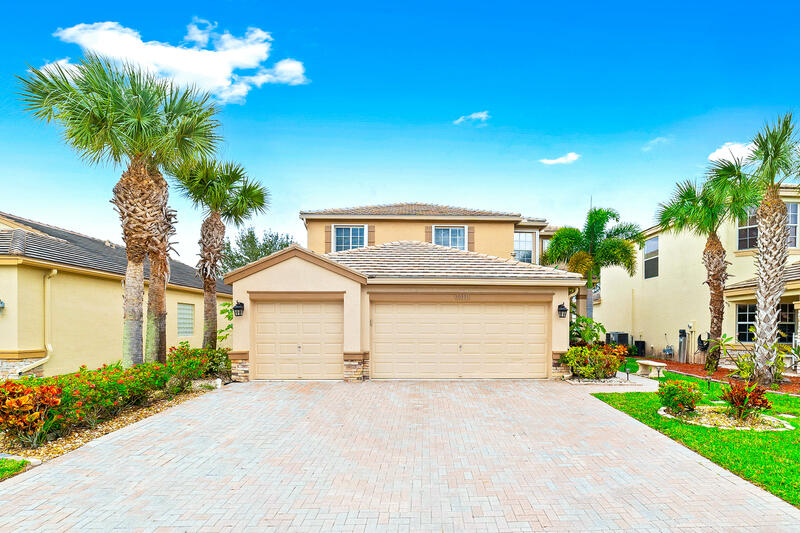 This 2,708 sq ft. home is the ultimate oasis with a HUGE master suite and bathroom! Home is complete with a 3 car garage, newly renovated open/large kitchen featuring updated appliances, and granite counter-tops. Home also has tile floors, vaulted ceilings, and a gorgeous back patio with a perfect view of the lake. A/C was installed within the last few years. Tankless water heater was replace two years ago. Home has a central vacuum and sweeper system. Home also has accordion shutters for the top floor and panels for the bottom. Windows let in lots of natural light. Clubhouse has a resort-style pool/spa, racquetball court, playground, billiard room, and cardiovascular center. Close to shops, the mall and parks."